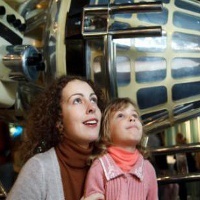 Taking children to the museum is a great activity for the family. 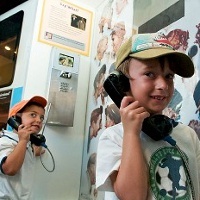 With exhibits geared toward young inquisitive minds, childrens museums NY are both fun and educational. 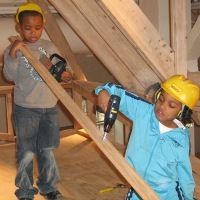 NY kids museums come in all types, from art focused museum to hands-on science museums. You'll find it all in New York! 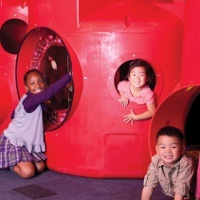 The Children's Museum of Manhattan has a huge range of exhibits in every area of learning. From bodyworks and health, to colorful painting exhibitions, there's much to do and see. Exhibits change regularly and are colorful and interactive so that even the youngest child will be enthralled. This great children's museum is focused on making education fun and each exhibit will have something new for children to learn.This great museum is open Tuesday through Sunday from 10am. Tickets are $11 for everyone over 1 year old - yearly family memberships are available. Perfect for Kids who Love Color! This arts museum which is geared toward children has a wide range of offerings. Its colorful and diverse permanent collection is a combination of art geared toward children, created by children and about children. Both children and adults will enjoy browsing the varied art collections. Other changing exhibits represent a range of art types and often include interactive elements. 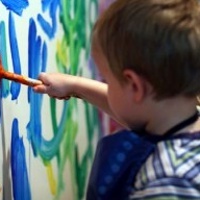 Classes in many types of art are offered regularly here to children of all ages. The CMA's day camp program "Art Colony" is a week-long art course where children can learn how to create artwork from various professional artists. Learn How to be a Bug, a Firefighter or an Explorer! This fascinating children's museum, located on the grounds of Snug Harbor Cultural Center, covers a wide range of topics and helps children discover more about the world around them. Kids will be fascinated at the fun and interactive exhibits they will find at the Staten Island Children's Museum including such things as a human sized ant hill where they can pretend they are worker ants in the Bugs and Other Insects exhibit. Kids won't want to miss Great Explorations where they can explore a range of extreme environments from around the world or Portia's Playhouse where they can stage their own performances and shows with costumes, sound effects and real stage props. There is much to do and see at this NY kids museum. Open Tuesday through Sunday - tickets are $6 per person. Large Collection and Many Changing Special Exhibits! 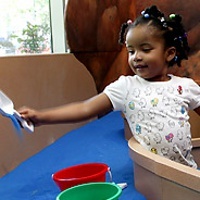 The Brooklyn Children's Museum is a great place to bring kids who have a curiosity about the world around them and a love for learning and fun. The many exhibits at this NY kids museum are interactive and keep children of all ages engaged and interested. 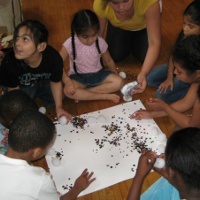 Kids can learn about nature - from habitats to all types of animals, they can learn about the many cultures in Brooklyn and they can explore the museum's large collections of over 30,000 objects. 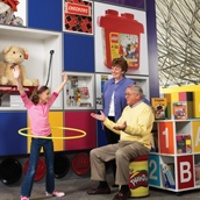 Younger children will love exploring the Totally Tots section - geared toward those 5 and under this place is filled with wondrous toys and games. Tots can dig in colorful sand, climb on the multi-level climbing structure, play with a walkie-talkie tube, build buildings and much more. The museum's smallest visitors can crawl, roll and practice walking in the Baby Hub, a colorful soft area filled with fun shapes. Fun and Learning at NY Kids Museums! In addition to their amazing visiting exhibits which change regularly, this NY kids museum has many permanent galleries and exhibits which are fun for all ages. Check out the Bricks & Sticks exhibit where kids can build their own skyscrapers and buildings, or the Communication Station where they can create animations, broadcast the news and learn about human communication. Small kids will have a blast in the Tot Spot where they can play with toys, crawl, climb, and explore the mini town including a bridge, conveyor belts, a marketplace and more. This museums is open 7 days a week in July and August, and Tuesday through Sunday throughout the rest of the year. Great NY Kids Museum for School Groups! This cultural center offers a fascinating look at various native American peoples and their cultures and traditions. Visitors can learn about how popular stereotypes are untrue or distorted and can learn correct information about each people group. Visits to this cultural center need to be reserved in advance. A 2 hour program will be presented to visiting groups and includes such things as puppet shows of native stories, craft workshops, games and songs of native peoples and a showing of artifacts. The nation or people on which the programs focus change regularly and include the native people of Hawaii, the Inupiat, the Lakota, Navajo, and the Seminole among others. Great for a Family Day Trip! There's so much to see and do at the National Museum of Play, you could spend an entire day there and still not be bored! Kids will be delighted with exhibits themed after well known children's stories and shows such as The Wizard of Oz, Berenstain Bears and Sesame Street. Nature loving kids can watch over 100 types of fish swimming through the aquariums in Rainbow Reef, Rainbow River or walk amongst the butterflies in the Dancing Wings Butterfly Garden. There's something at this museum of kids of every age to see and interact with. A Food court means you don't have to leave in the middle of the day - the fun can continue as long as you like. Admission is $11 for kids 2-15 years old and $13 for adults. This New York kids museum is open 7 days a week. If you have a child who is interested in science or how things work, take him or her to the Children's Museum of Science and Technology for a fascinating and fun filled day of discovery. The exhibits are hands-on interactive displays that aid kids in developing an interest in and learning about various aspects of technology and the the world around us. Learn about the Hudson River and the animals and plants that call the area home. Visit the planetarium to see what lies beyond the sky. Find out how human eyes and camera lenses work. There's so much do discover at this NY children's museum! Admission is $5 per person. Learn About one of the Largest Cultural Groups in NY! This multi-level children's museum in NY gives kids a look at Jewish culture, history and teachings while being fun and interactive. When you visit you and your children can learn about Jewish holidays, about the origin of the Sabbath day and how the earth was formed. Kids can shop for kosher products in the mini supermarket and then learn about kosher cooking in the Kosher Kitchen. This museum puts on regular events and activities to encourage a deeper understanding of Judaism in all visitors. This museum is open Sunday through Thursday. Tickets are $10 per person. Science Fun for all Ages! Though not strictly a children's museum there is tons to do and see for children of all ages at this fun science museum. 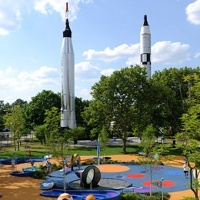 Kids will especially love the Science Playground, a huge outdoor space filled with slides, seesaws, fog machines, climbing frames and much more to engage all the senses of active children. Preschool Place, a section of the museum geared especially toward the younger members of your family features over 20 interactive hands-on exhibits. Other exhibits such as Realm of the Atom may interest older children as they can satisfy their curiosity about some of the smallest things in the universe and how we know they exist. This fun museum is $8 for kids and $11 for adults. Coming Soon - an Interactive and Fun Place of Learning! This children's museum is scheduled to open in late 2013. It promises to be a family friendly place where children can learn in a fun environment while being challenged mentally. 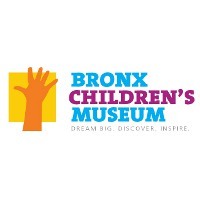 There will be exhibits where visitors can learn about the Bronx and surrounding neighborhood, learn about developing healthy lifestyles and develop early childhood skills and key concepts in literacy, math, science and more. Currently ideas are being gathered from the community as to what local residents would like to see in the museum. Plans are for this NY children's museum to be geared toward children ages 2 through 8 years old. Things to do in NY - NY Tourism © 2019 All Rights Reserved.